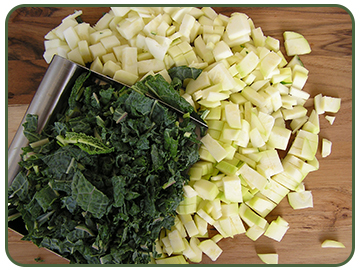 Leafy greens are an excellent source of iron, chlorophyll and B vitamins for a plant based diet. Here are a few fun ways to incorporate them. Wash, dry and chop the greens into bite sized pieces. Put them into a bowl with a few spoonfuls of orange juice and salt. Gently toss to mix the ingredients together. Let this mixture sit for 10 minutes. Using your hands massage the greens between your fingers until they turn dark green and start to wilt. Serve as a side dish or use as the base for a salad and top with other vegetables, raw nuts and seeds. For more dressing add the remaining orange juice. Follow the same method as above, except be sparing with the orange juice. Spread the wilted greens on a cookie sheet and bake at 250°F until crunchy.